when it becomes so severe only meds work, chlordiazpoxide or propranolol can mekes you a bit relaxed but some typical antipychotics like perphenazine or atypical like resperidone or clozapine can make a huge difference, I take 30mg abilify now with perphenazine 24mg, I tried abilify 30mg alone for myself, whie it made my thinking straight and symptoms better but was not a complete cure until I started to take perphenazine(it completely killed my fear, paranoia and agony) so in my opinion, add some typical antipsychotics to your abilify( the best plan for me) or change to another one, talk to us more cause I know that you are paranoid about us too and let us to be with you in this hard situation. Thank you so much for your advice aliali. You’re right if you say that I am also paranoid of the people on this site. My psychiatrist said that I should visit her again in two weeks. I will ask her about taking typical anti psychotis in addition to the Abilify. She said there is also a new injection that you use once a month that we can try if the Abilify don’t do the trick. I wish I had something intellectual to help you but all I have is this. When I felt like I was teetering on the edge, I would hide and try and be as normal and A-OK as possible and that just made me more exhausted and made me worse. I hated to admit I wasn’t doing well, but now, I have come to find when I do tell my loved ones “I’m not doing well. Please help me” I do get a little more consideration. I’m kept out of the stress zone, I do get a little more help. I don’t know if that helped slow my falling apart, but less stress and more support from people who love you is never a bad thing. I find, I just have to really let them know what will help me and what won’t. That doesn’t mean they gathered around… just the opposite because I told them I couldn’t handle it. But just getting some help getting through my day until I could get to my doc can adjust the meds, helped me get back on track sooner then I thought I would. Good luck and I will be sending positive vibes your way. Try to keep the stress low, remember to sleep, (not always easy if that paranoia hits) Try and get yourself in situations where you feel safe and calm and hold on to those. I really am rooting for you and hoping the best for you. Thank you very much for the advice James. You see the thing is that I believe that everybody is in on the plot to make me feel crazy. Between all the coincidencs and sychronicity I just don’t know who to to trust anymore. The person who I get along with the best is my older sister and I somehow am confident that she also in to get back at me. She knows about my sz but makes it of as nothing. My brother lives to far away from me and we barely speak to each other. My mother is not with us anymore and my father don’t understand anything about my illness and he also lives far from me. I’m afraid that if I tell my sister how I’m suffering that she’ll only enjoy my turmoil. It’s such a bloody catch 22 situation. It’s a hard fight. I bet your sister won’t enjoy seeing you suffer. What would she have to get back at you for? I’m sorry your going through this though, I remember when I was sure everyone was out to get me. It took a lot of hard work to just trust that my parent’s and my brothers weren’t trying to off me. It took a lot of Xanax to calm down enough to really talk this through and breathe. I hope I’m not getting you confused with someone else, but I was wondering if you life with someone. Do u have a visiting nurse? Or any friend you trusted? It helps to meet someone like that for reality testing or any other interventions. I wish u could set up some appointments so that people would come up and check if u are doing fine. James I’m from South Africa and I live in a guest house. I have my own room so I can hide myself from the other residents. You are right…my sister probably have nothing to get back at me. Thank you very much for your support. I love to read your posts on the forum and how you and your sis get along. You are always an inspiration to me since I can gather from your writings that you have also come through very deep water. I’m sure that I’ll receive your positive vibes soon. You are right goggles. What I need is a lot of reality testing. I’ll see if I can set up an appointment with a psychologist this coming week. I have a good friend but I don’t want to share my diagnosis with her. She knows that I get delusional and paranoid but she knows nothing about my sz label. i didnt get along with abilify it made me agitated i take seroquel. I read books on Buddhism, reading them out loud helps to keep me focused. 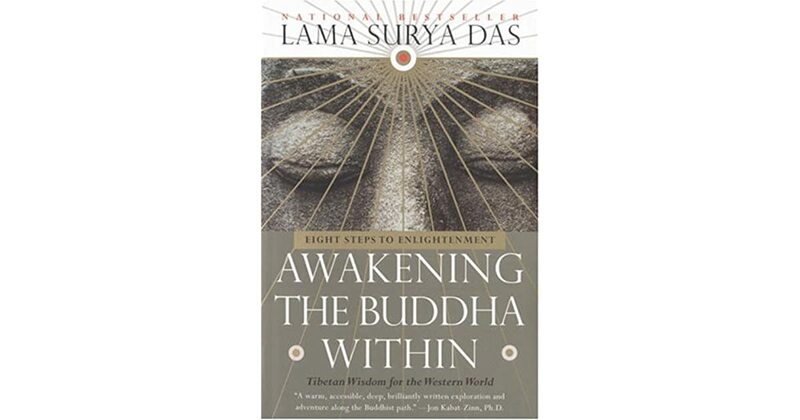 This book “Awakening the Buddha Within” is what I’m currently reading, and it has helped tremendously in balancing my thoughts. It’s a book about one layman’s journey into discovering himself and Buddhism, he’s going through a sort of existential adventure and travels the world in search of answers.